Free Fries at Penn Station Subs on Wednesday August 18 Only! 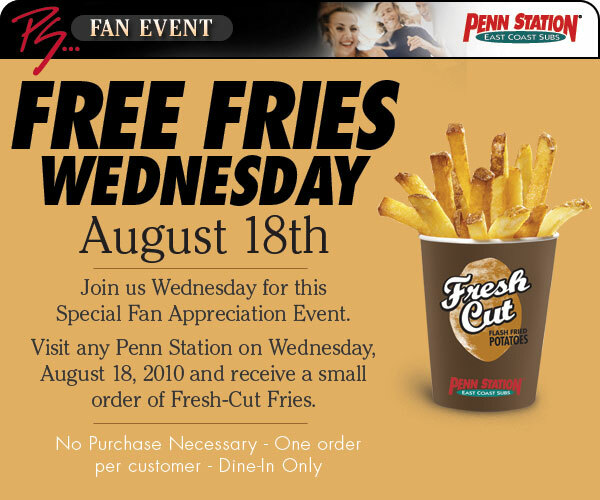 Penn Station Subs is offering free fries tomorrow only to every customer. No purchase necessary. Check out the details below!